We all remember Cathy Freeman winning the 400 meters in front of her home country at the 2000 Sydney Olympics. Prior to the start of the 400 meter rounds, she took part and lit the Olympic flame at the Opening ceremonies. I have to admit, this was the most stunning flame lighting spectacle to date, next to the paraolympian Archer who lit the flame in Barcelona 1992. There was the much ballyhooed hype with Konstantinos Kenteris who won the 200 meters at the same Olympics when Michael Johnson and Maurice Green both failed to make the finals at their respective USATF Trials. His chance to repeat as the 200 meter winner in front of his hometown Greece in 2004 never materialized for reasons still under investigation, and I was 100% certain he would be the one to light the flame. POP QUIZ: Who lit the torch at these games? In 2001, Kenteris proved he was no fluke by winning the 200 meters at the 2001 World Championships in Edmonton. Recent news from www.chinadaily.com.cn claims the 2004 Athens Olympics 110m hurdles Gold medal winner Liu Xiang of China training in isolation. This sort of reminds you of the movie Rocky IV? Liu arrived in Beijing yesterday from Shanghai to start his closed-door winter training. He is being carefully handled by the State General Administration of Sports in order to avoid “unnecessary distractions”. He will also not be allowed to attend any commercial events before the Games – his public appearance on December 7 in Shanghai was his last until next summer. Liu Xiang, together with his coach Sun Haiping (left), arrives at the athletes’ apartment of the State General Administration for Sports in Beijing yesterday. Zhong Ti Liu has said he enjoys commercial shoots. He says they are fun and and good opportunity to relax. But now Liu has to abandon his time of relaxation and leisure and put 100 percent of his attention towards preparation. Reports have also said he will not show up to the annual Spring Festival Ceremony in February (China’s lunar new year). Liu, a national idol, entertained fans at the 2005 ceremony, along with other big-name stars. The closed-door session will go until March, followed by a few tournaments Liu will attend between March and June. The coach said Liu will compete in the tournaments to see how effective the trainings were. 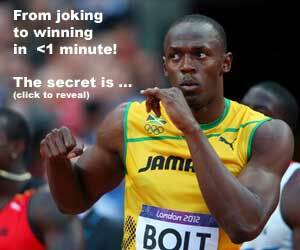 READ Why Usain Bolt Runs So Fast?